In the span of her college career, Emily Hearn went from someone who confessed she was not into “the music thing,” to a full-time musician with two albums, multiple tours and a music video with Bill Murray. The lesson to learn from this story: life can take you anywhere. Twenty-two-year-old Hearn says she has always been slow to call herself a musician, but the fact is her music career began at an early age. Enrolled in voice and piano lessons, she quickly discovered that she was not interested in reading music, but instead, playing by ear. During her senior year of high school, she began to teach herself how to play the guitar, and it took her until the end of her freshman year at the University of Georgia before she considered herself good enough to sing and play at the same time. “I met some roommates and friends that were really into live music. They got me hooked on going to shows, and they were always trying to get me to write and play music,” she says. 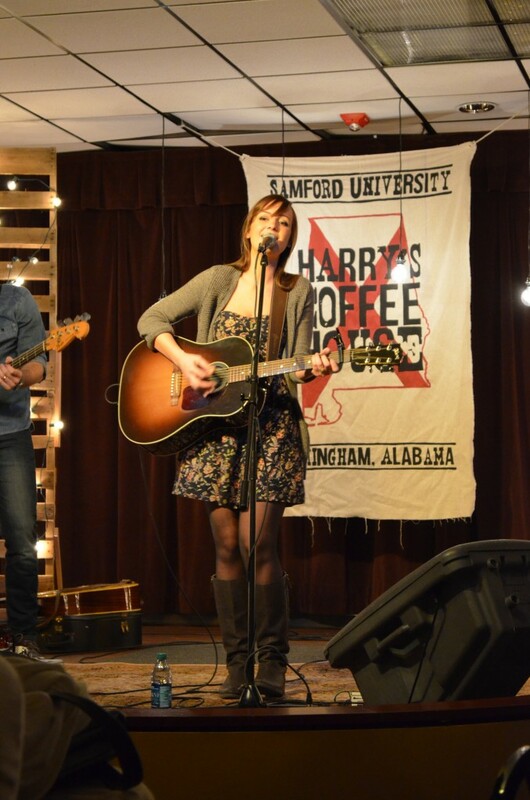 It was her friends who encouraged her to perform her first show, and then continued to push her to play at venues around Athens, Ga. Finally, Hearn began to realize that she could make a career out of music. She withdrew from college during her junior year and admits that she is still in disbelief about the success that has followed her since that day. Her success began when producer Trey Roth from Hearn’s hometown of Griffin, Ga., heard her music on MySpace. He contacted her, saying he wanted to help. 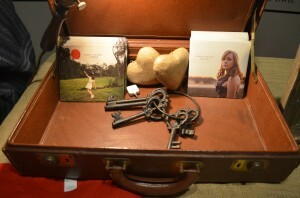 The result was her first EP, Paper Heart, released in 2010. “I made an EP, which was totally random. I had only written five songs in general, so I didn’t really feel like a real artist or a real musician,” Hearn says. Hearn was taken even more by surprise when the director of her music video for “Rooftop” told her that he had special guest Bill Murray. “They told me Bill Murray, and I didn’t sleep at all that night,” Hearn says. The next morning, she met Murray for the first time. “He walked up with a coffee for himself and one for me. He said to me, ‘I like your dress.’ All I could say back is, ‘I like you,” she says. Hearn followed Paper Heart with her first full-length album The Red Balloon in 2012. Compared to her first album, Hearn says it was easier to write for the second one. Hearn says she continues to write news songs, and she hopes to release a new EP this summer.